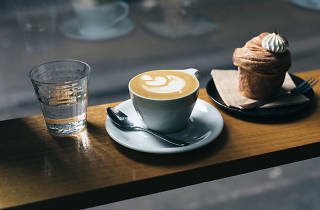 You'll find environmentally-friendly beans and sociable staff at Axil Coffee Roasters, located at Shop E6 on Flinders Lane. The priority at Axil is high quality, ethical coffee. Their environmentally and socially friendly beans are roasted locally in Hawthorn. The single origin options are rotated daily, meaning there’s always something new and delicious to drink, and the seasonal blend has a dark chocolate and nougat flavour profile. The staff are happy to talk shop – where it comes from, how it’s made – but it’ll be a short lesson, they’re always busy. There’s no BYO cup discount, but the standard cups of coffee are a little cheaper than many places at $3.80. The espresso bar in Flinders Lane is all about Swiss-level efficiency and quality coffee. 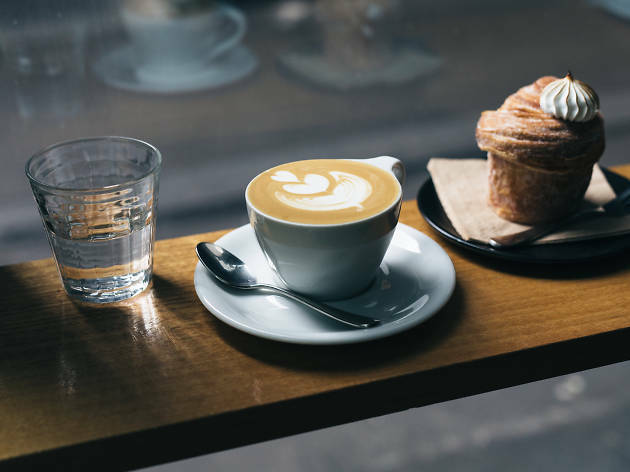 The Southern Cross Lane location is a larger sit down affair, with pastries, filter brews, and jaffles – order the one with thyme and garlic roasted mushrooms and melted Gruyère cheese. It’s the best cure to a cold Melbourne morning, especially when paired with a full-bodied San Benedito Brazilian long black.